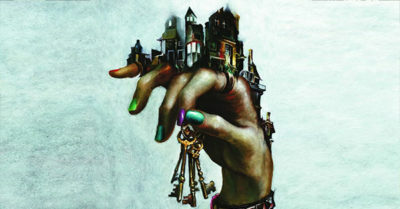 House of Mystery, House of Secrets, Horror Anthologies, and more! 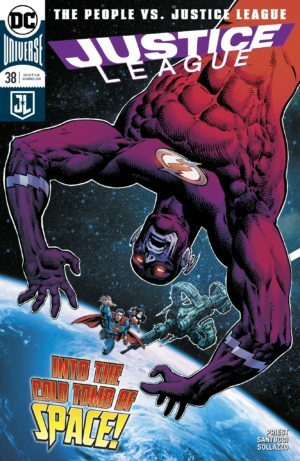 Working on these guides emphasized the counter-intuitive fact that some well-known DC characters have appeared in far fewer comics than their lesser-known Marvel counter-parts. 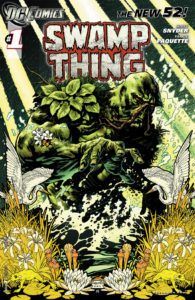 Swamp Thing has a pretty obvious Marvel analog in Man-Thing, who not only shares a similar design and concept, but a creator in Len Wein. Swamp Thing is the better-known character of the two by an order of magnitude, partially due to his pair of campy 1980s horror flicks. I assumed he would have a rich history of appearances throughout the DC Universe, especially since Man-Thing appears all over the place as a silent team member, a teleportation gimmick, and a random guest-star. I have a new collecting guide for you today: John Constantine, Hellblazer! 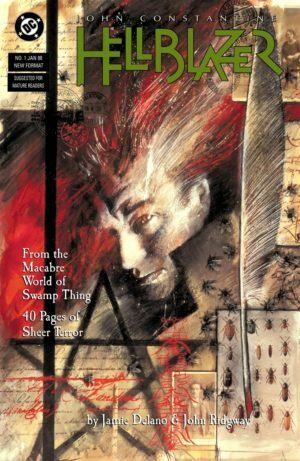 The guide covers Hellblazer’s every appearance, from beginnings as a guest star in Alan Moore’s Swamp Thing through his two decade run in his solo title to his multiple relaunches since 2012. There’s something about Constantine that draws readers in and makes him a prime choice for screen adaptations. A big part of that is that he is by no means a hero. Sure, Constantine is a supernatural detective and occasional magician, but he has little interest in saving anyone – in fact, his actions are often as likely to get people killed as to save them! Another hallmark of Constantine was years of exclusivity. 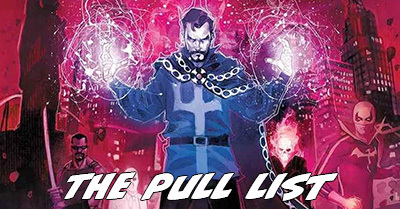 He was created by Alan Moore in a pre-Vertigo Swamp Thing and than shuttled off to his own title written by Jamie Delano, who was hand-picked by Moore to launch the character in Hellblazer . Constantine made very few appearances outside of his own title, his mini-series, and Swamp Thing for the next twenty years. 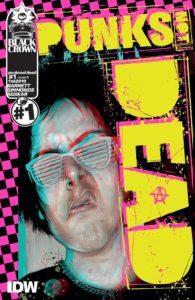 This insulation was furthered when he became a part of the Vertigo family of titles and allowed Constantine to age in real time with his readers. In the 80s DC was the edgy comic book company. Even before the launch of Vertigo, they were the publisher letting a new generation of writers use their heroes in non-traditional ways. While Grant Morrison may be the last oddball left standing from the period, it was ushered into existence by Alan Moore. It was Moore’s hand that guided the landmark Watchman and deconstructions like Killing Joke. He made it possible for the Morrisons and Gaimans of the world to be mainstream comic authors. While the modern day might treat Watchmen as Moore’s opus, he was already writing bizarre 70s eco-hero Swamp thing for nearly three years by then. 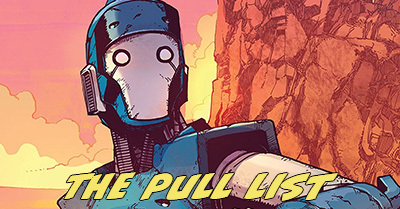 Both Moore’s verdant hero and Morrison’s Animal Man are seeing reinvention in the reboot. Will either hint at the success of their 80s glory years? 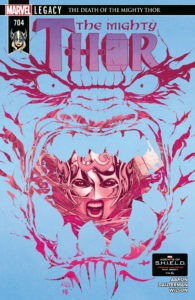 I’ll come right out and say that I completely hated this script for this issue. It’s the only one so far from the reboot that felt deliberately decompressed, aside from the wreck of Justice League. 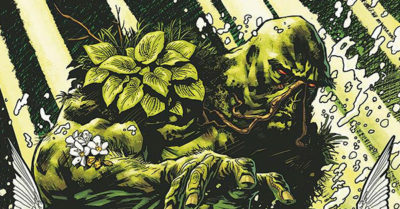 Swamp Thing being a dark hero with roots in Alan Moore stories is meaningless when it comes to a fresh start. While Scott Snyder does plenty of explaining via pages upon pages of dialog, it never stops being expository to start being compelling. As a reader who has no idea about the character the talking didn’t really help – it was like listening to a conversation on a bus about someone I’ve never met. Snyder inserts plenty of heavy-handed one-liners, like “buried alive” and “raised from the dead” in an attempt to make a dull B-story seem like a portent. The chatty issue was made more jarring by a weirdly out-of-context Superman acting like a camp counselor, completely at odds with both other versions we’ve seen so far in the reboot. The saving grace is a beautiful rendering of an inert script by Yanick Paquette. If he can make dead birds and talking heads look this good, imagine what he’ll do with an issue that’s actually about Swamp Thing? 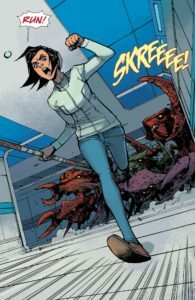 Despite a gripping into and a final panel giving a hint of what’s to come, this issue is skippable due to the interminable bore of its doughy middle.